Today the lighthouse still serves as a helicopter base for the service and maintenance of all lighthouses along the northern coast. 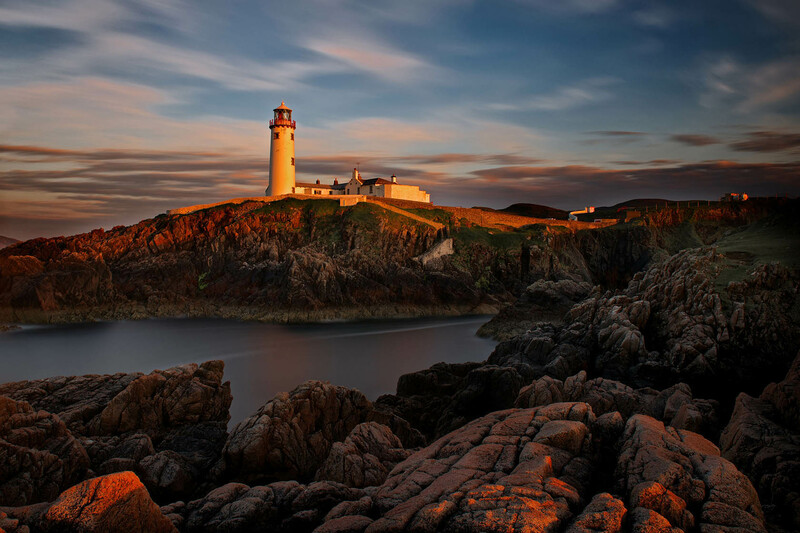 Fanad Lighthouse is one of Donegal’s most loved features. The lighthouse sits on the cliffs of Fanad and its architecture is remarked as one of the best examples of a traditional lighthouse. The location is isolated and rugged whilst still attached to the mainland, and has a helipad nearby.